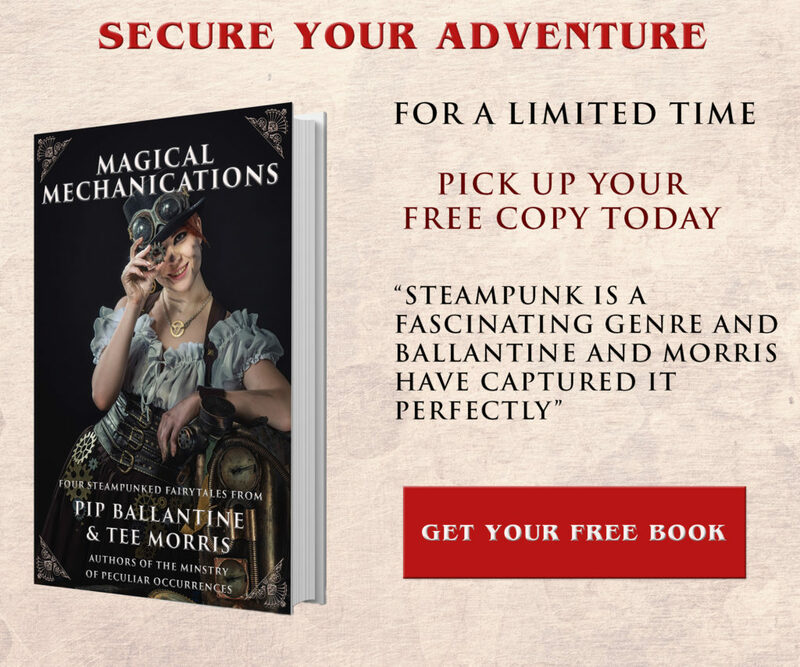 Last year, our journalist Pip Ballantine was lucky enough to be accepted into an anthology whose purpose was to explore the multicultural aspects of steampunk. 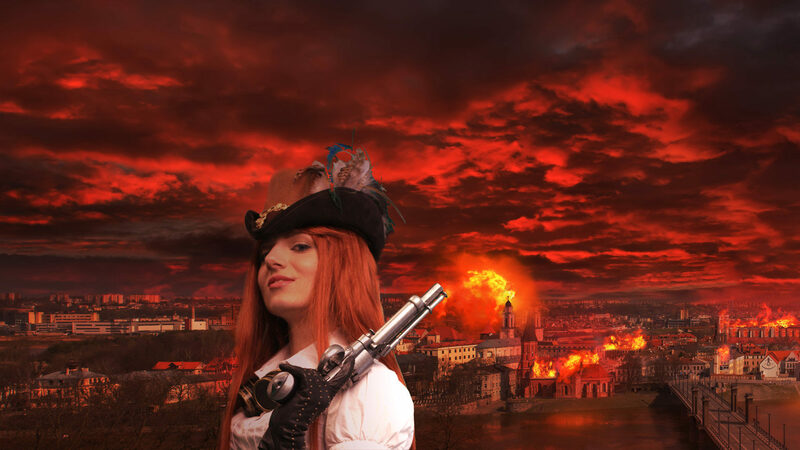 Alliteration Press ran the very successful Steampunk World kickstarter, and raised over their goal. This enabled the wonderful artist James Ng to not only do an original cover for the book, but also a wonderful interior illustration for each story in the collection. 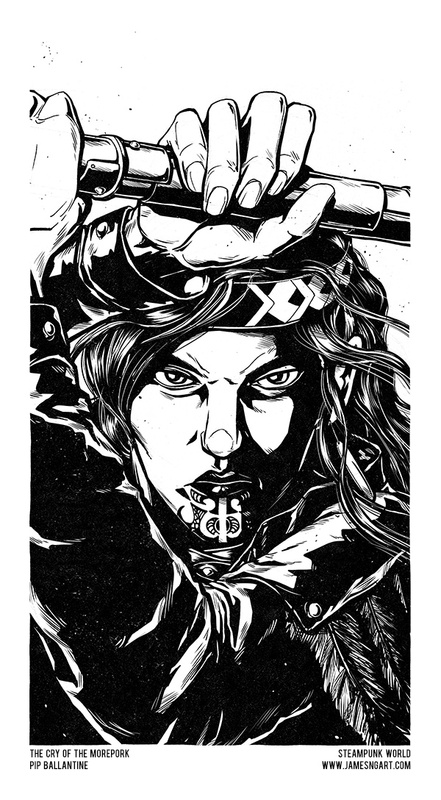 Pip Ballantine’s story Tangi A Te Ruru/The Cry of the Morepork introduces Aroha Murphy, a New Zealand agent of the Ministry. The daughter of a Maori woman and an Irishman, she finds herself caught between two worlds, while on the case in the wilds of New Zealand. Now she must chose between her loyalty to the Ministry and her loyalty to her tribe. James Ng has captured the essence of this powerful Ministry agent, and we couldn’t be more excited with this interior illustration that will accompany the story. As of yet there are no details released on when the paying public will be able to get their hands on them, but the backers of the Kickstarter will get them first. Wonderful news is however, Alliteration Ink is investigating how to get prints of these made. I know several agents here at the Ministry would would love to see them.